This bird landed in a tree outside my office window this week. It was the first time in 15 years that I’ve seen a bird this large land in that tree. It scared all the little sparrows away and stayed just long enough for me to grab my camera and get one shot off. I’m thinking it is a juvenile Cooper’s Hawk but I’m not sure. We looked through all of our bird books and that seemed to be the closest. Any other ideas? I think it is a Cooper’s Hawk, but I am no expert. Beautiful bird! 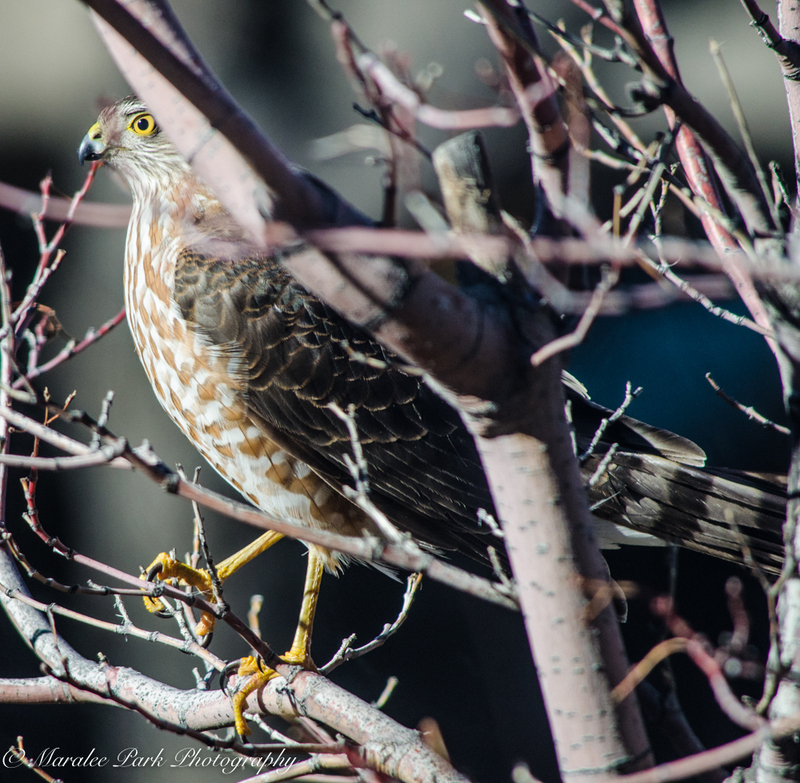 It does look like a Cooper’s juvenile, but there’s one called a Sharp-shinned Hawk that nearly identical. Determined by minuscule details in the tail, wingbeats and other esoteric minutiae. Just to confuse matters further, there’s also a Norther Goshawk where the juvenile is again very similar, but at least the adults look quite different in coloring from the previous two. It looks like a hawk to me! I’m not sure . . . it could be a raptor or maybe even a bird of prey. What a sighting just outside your window! Great shot! 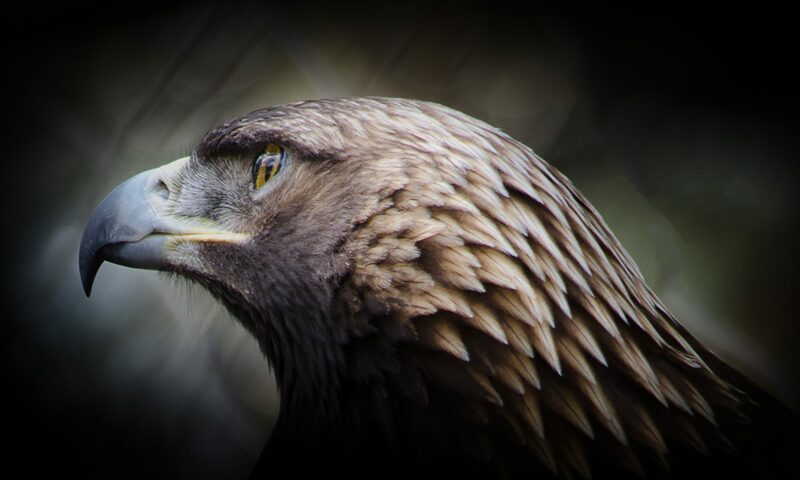 Juvenile Cooper’s have the coloring and the yellow eye–red when older. And you can tell it is Coopers rather than sharp-shinned because of the flatter head.